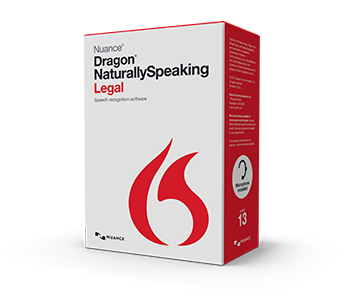 Dragon NaturallySpeaking is the de facto standard for voice recognition. 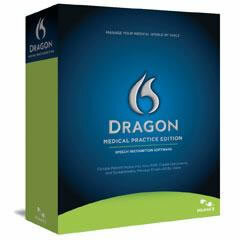 Dragon NaturallySpeaking 13 offers specialized editions to help your organization improve document turnaround time, reduce transcription costs, and minimize the risk of repetitive stress injuries Dragon NaturallySpeaking comes in many different versions with unique products for the medical and legal industries. Dragon NaturallySpeaking products set the standard for voice recognition. The biggest reason more people worldwide rely on Dragon NaturallySpeaking: it works. With more than 175 awards for accuracy and ease of use, it’s the undisputed leader in speech recognition software. If you want to get more done, more quickly, just say the word and Dragon NaturallySpeaking will transform your productivity. DicTran is a Dragon NaturallySpeaking Certified Parther. 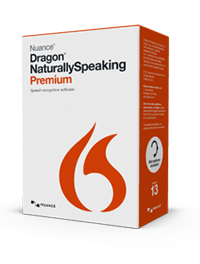 Dragon NaturallySpeaking Premium, Legal and Professional 13 are faster and more accurate than any previous version of Dragon. In fact, version 13 can reduce recognition errors by up to 35% compared to Dragon 9. This means Dragon 13 recognizes speech more accurately right out of the box so users will spend less time correcting recognition errors. All are Windows Vista and Windows 7 Compatible! Dragon 13 Professional delivers faster recognition response for both commands and dictation to help you get more done faster. More Dragon Voice Shortcuts: Just say what you want to do and Dragon does it. Dragon 13 Premium delivers significantly improved accuracy, reducing recognition errors by up to 15% over Dragon 10. Plus, it detects hardware resources and automatically sets up the recommended configuration for optimal performance. More Dragon Voice Shortcuts: Just say what you want to do, and Dragon does it. Custom Commands: Dragon works the way you work. Creating a user profile for a digital voice recorder has never been faster or easier. Dragon 13 Premium directly accepts more audio file formats. The Dragon Sidebar allows users to discover and access key commands and tips by putting them in one convenient desktop location. Its content automatically changes depending on which window is currently active.